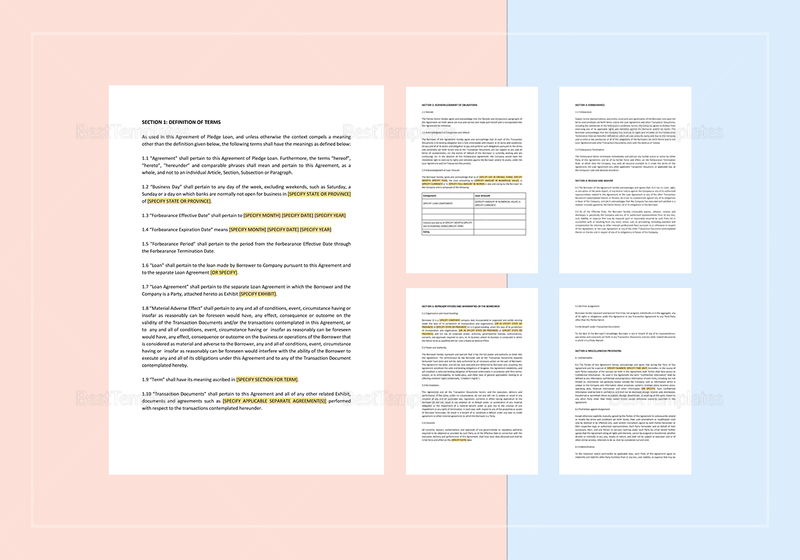 Create a clear cut agreement defining forebearance and release provisions for collateral using this Forebearance Agreement With Release Provision Template. 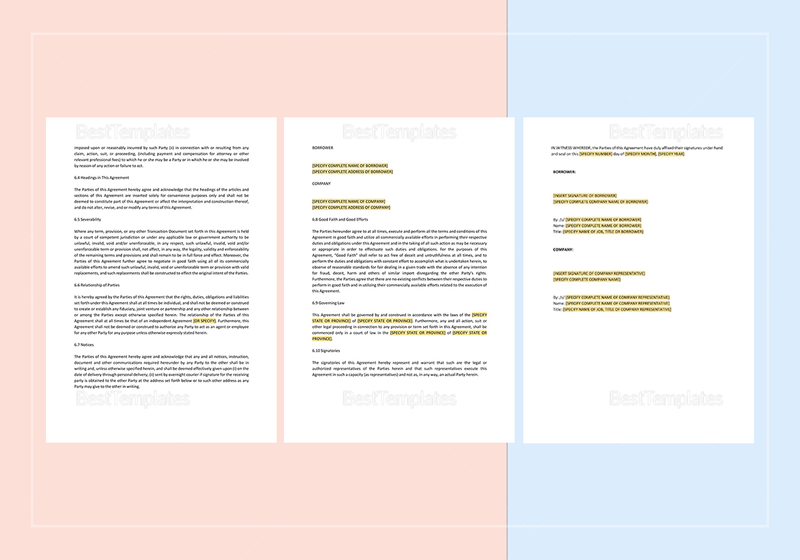 Use this ready made 9-page document in drafting the terms of your agreement by instantly downloading the template anytime and anywhere. 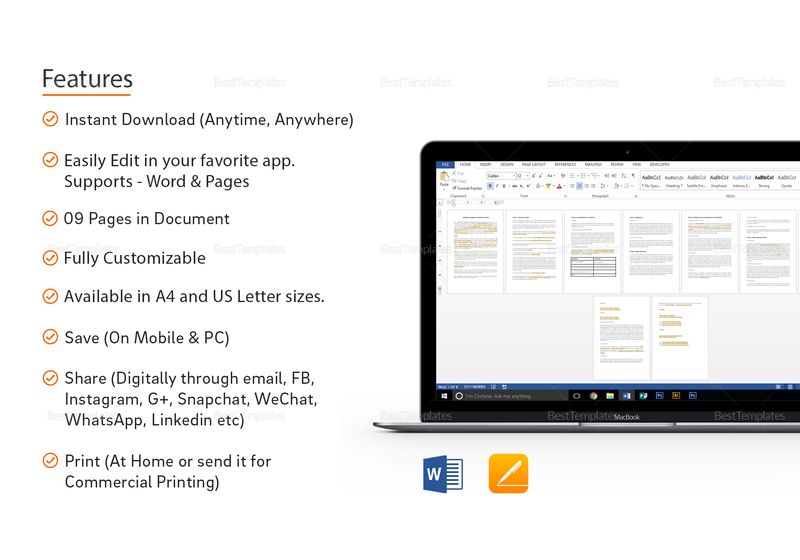 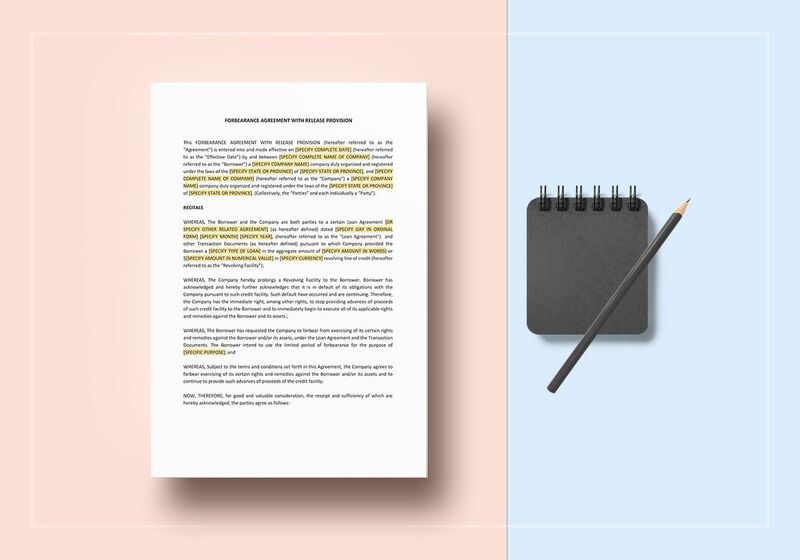 Edit by replacing the highlighted parts with your information using any app compatible with file formats for MS Word or Pages.